Hi, my name is Erin and I am the manager at CareVets Parnell. 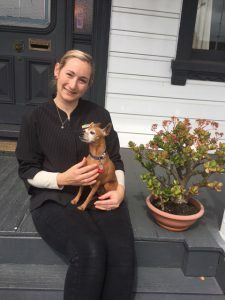 I qualified as a Veterinary Nurse in 2006 while working at CareVets Mt Wellington and since then have worked at clinics around Auckland. I enjoy learning about all aspects of veterinary nursing, particularly pain management and anaesthesia and have a passion for providing animals with the best care. I am lucky to live in Waitakere with my husband, 3 dogs and 3 cats. During my spare time you will find me out on the windy beaches or pottering away in the garden.